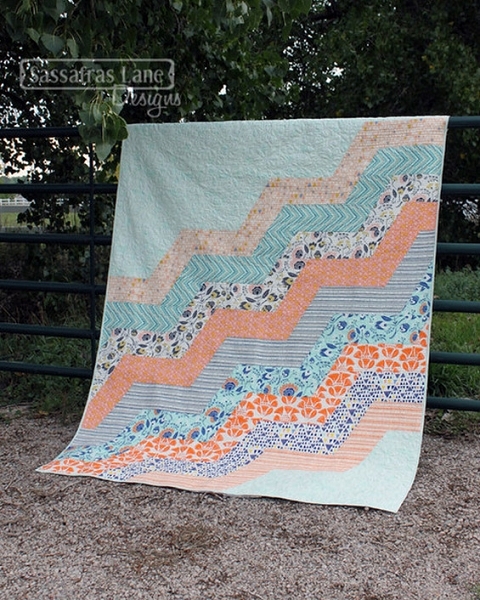 This modern zigzaggery quilt is a quick and fun project that allows your fabrics to shine! 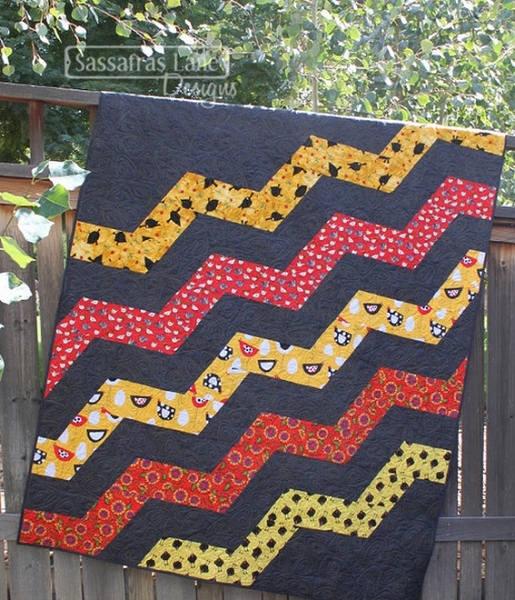 Simple 60 degree angles that are easy to piece and create a fun wave across the quilt. 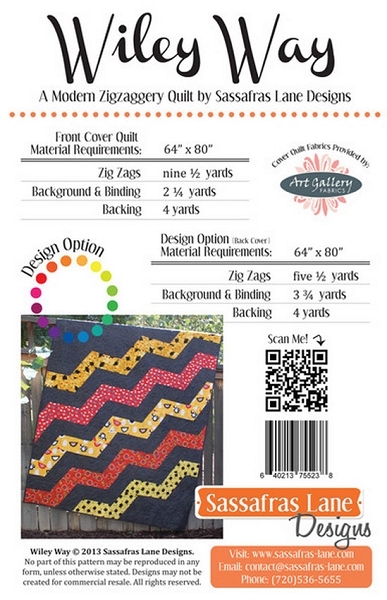 Focus on nine fabrics cascading across the quilt on a background, or choose the design option and get creative! 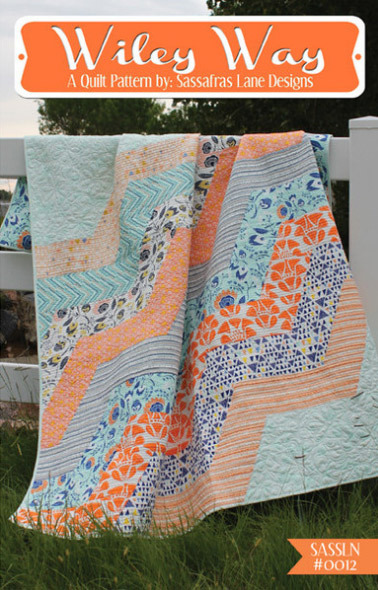 This fresh contemporary pattern finishes 64" x 80" and is the perfect bed quilt.